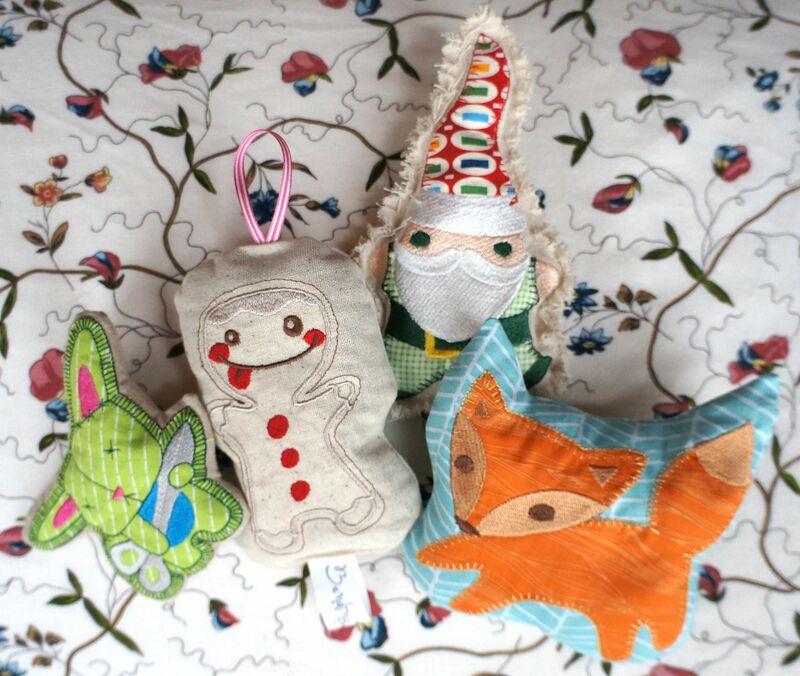 We can never have enough lavender sachets in our house and what's more fun than embroidered character lavender sachets? You can add a ribbon and hang it in your closet, put it in with your woolens to deter moths or toss it in your dryer keep your clothes smelling fresh. 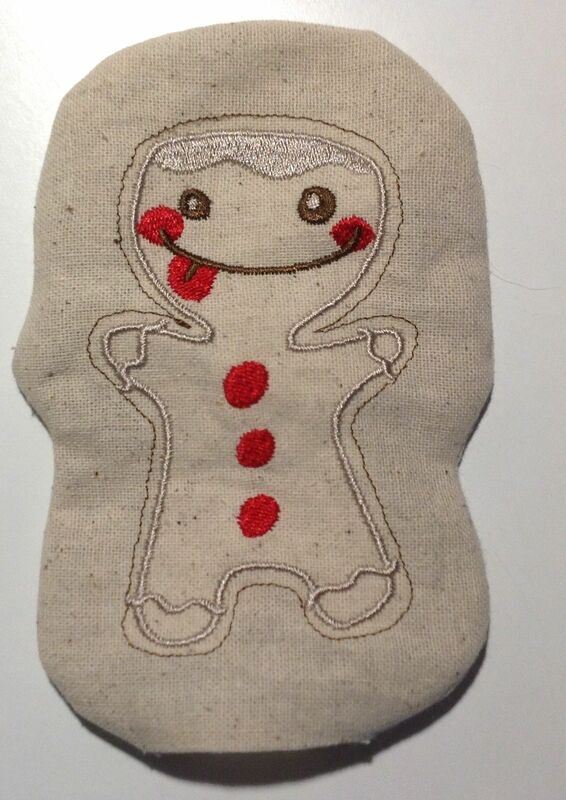 You can also make seasonal character sachets such as zombie bunnies for Halloween or Gingerbread Men for the holidays. I downloaded the patterns for these characters from Urban Threads, you can purchase either the machine embroidery file or a hand embroidery pattern. 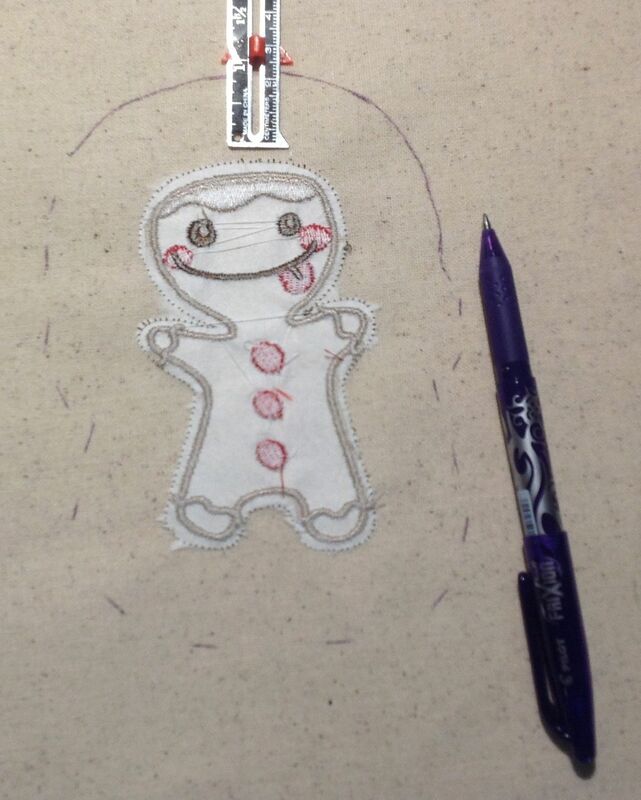 This tutorial assumes you know how to embroider by hand or own an embroidery machine, I've made the Gingerbread Man in this instance. I used Osnaburg, a loosely woven 100% cotton for this project, it had a nice natural look & feel and allows the lavender scent to emanate freely through the fabric, linen works well too but really, any natural fabric will do. Because of the loose weave, I starched the fabric to prevent stretching and used a tear-away stabilizer. 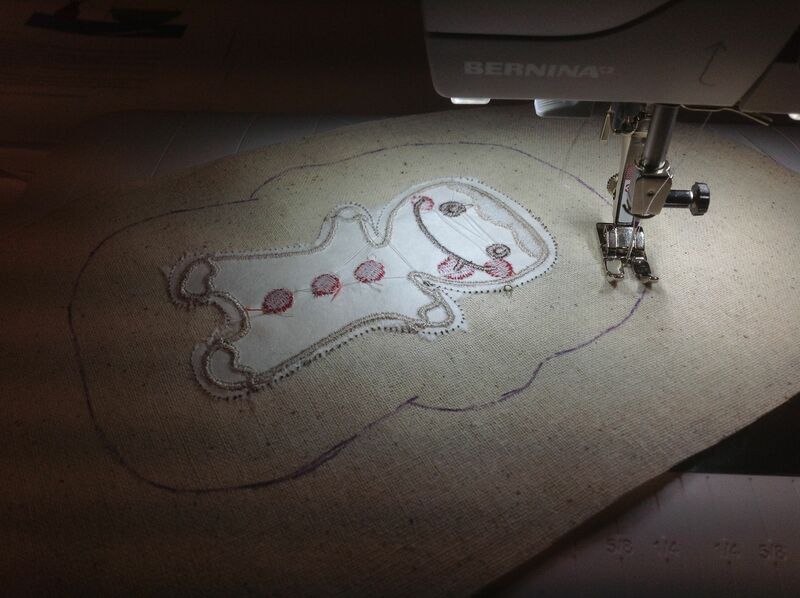 Once you've embroidered your character, trace a line around it on the wrong side of the fabric, I've used a very generous 1" but you can make it smaller if you wish, just give yourself enough room for stuffing and seam allowance. For the back side of your character, you can use a plain piece of fabric or fun printed fabric, you choice is yours. Place the backing fabric under your character, right sides together and sew 1/4" to 3/4" in from the edge of your drawn line. Leave a 2" opening and back stitch on either side to secure. Because of the loose weave of my fabric, I used pinking shears to cut out my character. You can also use a zig-zag stitch to prevent your fabric from unraveling. Turn your character inside out, press flat and make sure you press your opening seams inward. 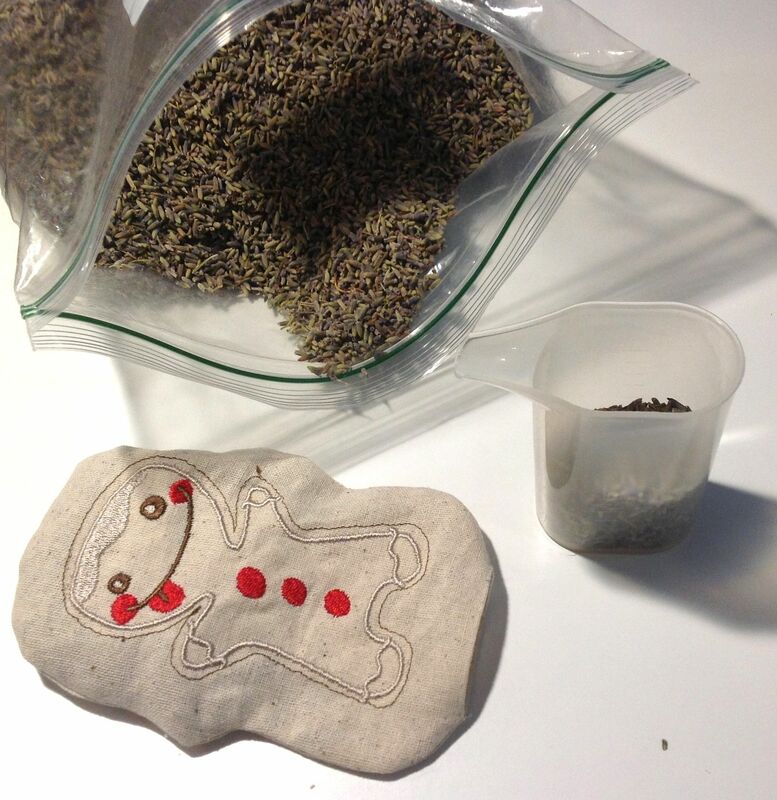 I like to fill my sachets with lavender only, some like to mix with batting, I bought lavender in bulk on Etsy so I can be generous. I don't stuff my sachets to the brim, I like to leave a little squeezing room and space to sew closed. Once your little character is full of lavender goodness, you can sew up your opening by hand or, if you're a little lazy or in a rush, by machine like I did. :D I also attached a little ribbon on the top of his head so I can hang him on a hanger in the closet. 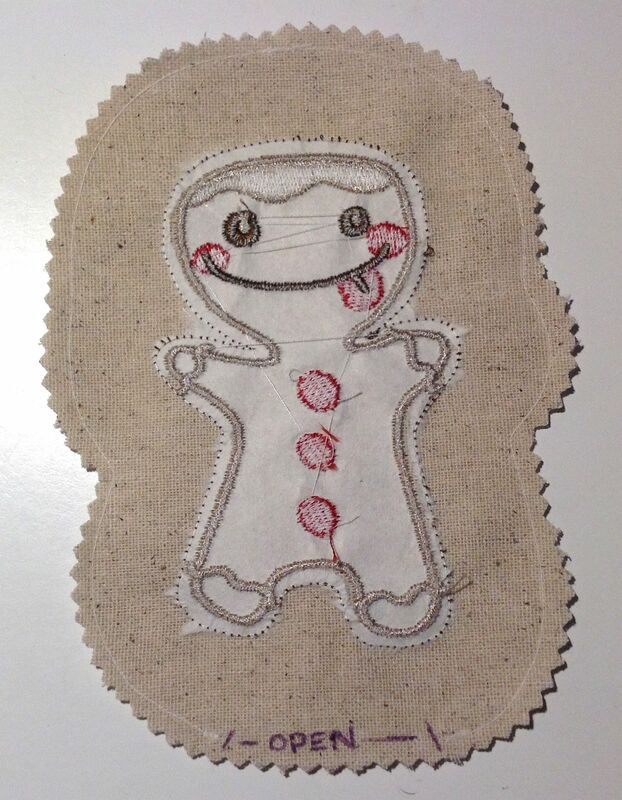 I added this after I had already sewn him shut, I'm easy going like that. I hope you've enjoyed my little tutorial and find it useful for yourself or as presents for your friends and family. What a cute little guy! I bet it smells wonderful. What a great idea. 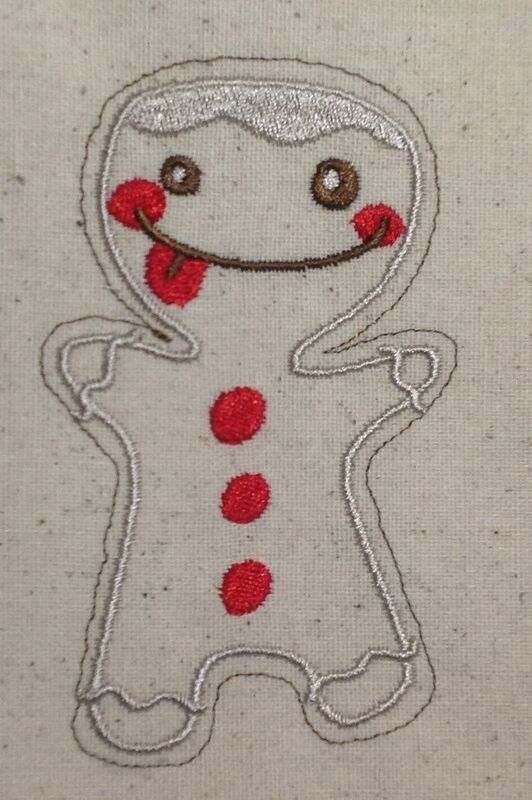 Super cute and even better is that I checked my Urban Threads folder and I have the cookie man design. Yay.